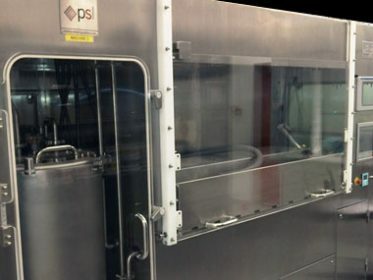 PSL provides aseptic / sterile powder handling solutions designed and built to meet cGMP requirements when manufacturing sterile drug and biological products using aseptic processing. Our engineering team and process experts draw on a wealth of experience with pharmaceutical and bioprocessing applications to manufacturing a large range of sterile materials handling solutions such as Class 100 isolators and advanced high potent sterile Isolators. As a leading organisation, PSL developed state-of-art systems ensuring quality and maximize efficiency that solved manufacturing problems. 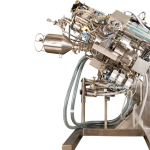 Our sterile production experience includes sterile formulation and filling facilities, implant coating machines, fraction collector systems and complex aseptic powder handling. 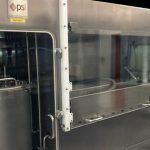 PSL Isolators and Glove Boxes are all compliant with Good Manufacturing Practice (cGMP) and are designed in accordance with the required local and international regulations. PSL provide a standard 4mm stainless main body construction for precision built systems designed for longevity. Our process specialists provide 3D models and full scale mock-ups when necessary.